Teacher Prep Videos are a simple way to help you focus on the main idea of these bible study lessons. Each elements Study Includes A Prep Video! This video will help you prepare for all 3 Holiness lessons by giving you some guiding thoughts and points of encouragement. We're here to help. And we're thankful for this chance to partner with you as you teach teenagers God's Word. 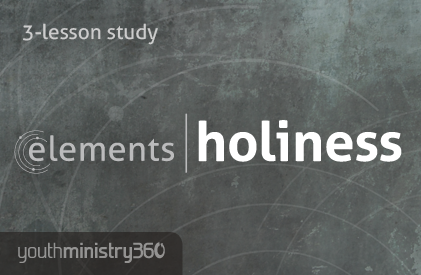 If you have any questions about preparing for or teaching holiness, call us at 888.969.6360, email us at customercare@youthministry360.com, or live chat with us by using the CLICK TO CHAT option at the top of this page.